A planning application has been submitted to convert a large empty retail unit into a restaurant and wine bar at Stag Roundabout in Rotherham. A number of eateries have joined the popular Cuccini's cafe on Herringthorpe Valley Road, including Indian and Bangladeshi restaurant, La Pondicherry and Nonna's Deli - which is also planning changes. 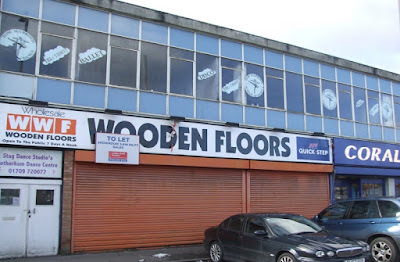 156 Wickersley Road has recently been let and change of use plans have been drawn up that would bring the 9,353 sq ft retail unit, formerly a wooden floor outlet, back into use. Applicant, M Rana, is hoping to split the L-shaped ground floor into two uses to create a restaurant with an adjoining wine bar. The plans, drawn up by architects at Building Link Design, show enough space for 18 covers in the 2,500 sq ft restaurant which would have its own bar and space for outdoor seating. The 900 sq ft wine bar would have its own entrance. The plans add that the development would create eleven new jobs (five full time and six part time). Built in 1963 and initially trading as Fine Fare, the unit was marketed by SMC Chartered Surveyors. Next door, the retail unit that was previously home to Motor World and Co-operative retail outlets, received change of use planning permission in 2015 and was refurbished by the owners of Aroma restaurant in Northallerton before opening as La Pondicherry. At nearby Nonna's Deli, a refurbishment is being carried out as the outlet, pioneered by local restaurateur, Dino Maccio, is reopening as Nonna's cafe and prosecco bar.